Welcome home! Don't miss out on this well maintained 3/2.5 home on the lake with great views. This house shows like a model home! New stainless steel appliances in kitchen. All bedrooms are upstairs leaving wonderful entertaining space or family space downstairs. Brick pavers from the front leading you to the beautiful views and backyard patio. Fresh landscaping out front! 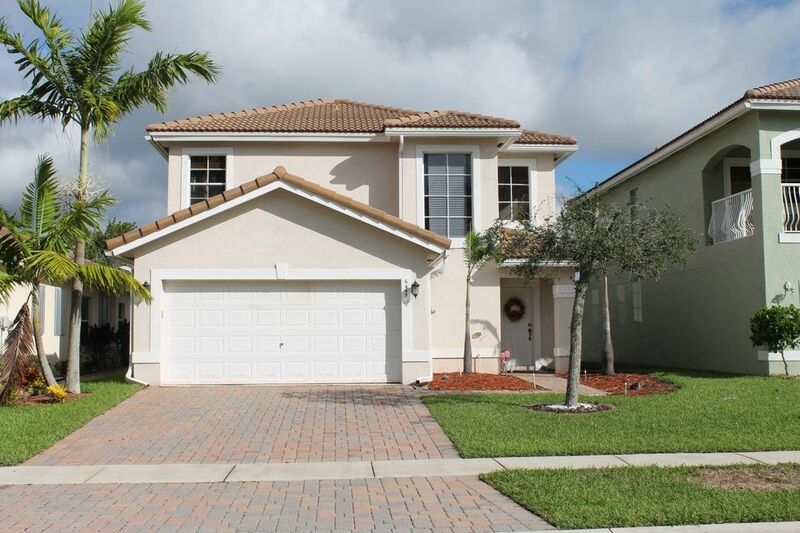 Minutes from downtown West Palm Beach, PBIA, and centrally located to 95 and the turnpike. Here is your opportunity to live in a gated neighborhood with affordable HOA! SELLER IS VERY MOTIVATED!